This incredible home at Esperanza Resort features beautiful, partial ocean views and an open layout perfect for gathering with friends and family. Plus, it’s all just steps away from a sparkling, expansive resort pool. 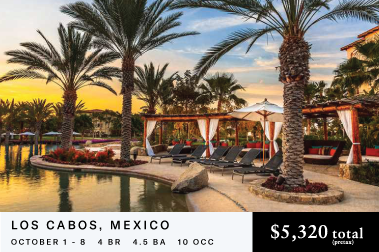 With full access to the prestigious Punta Ballena Beach Club and just a short golf cart ride to the beach, pools, fitness center, and other amenities, this home represents the best-of-the-best in Los Cabos luxury. Sign up with your email address to receive monthly Magma Moments right to your inbox.